I finally did it! After nearly 7 years of blogging I finally made it to my first blog conference! 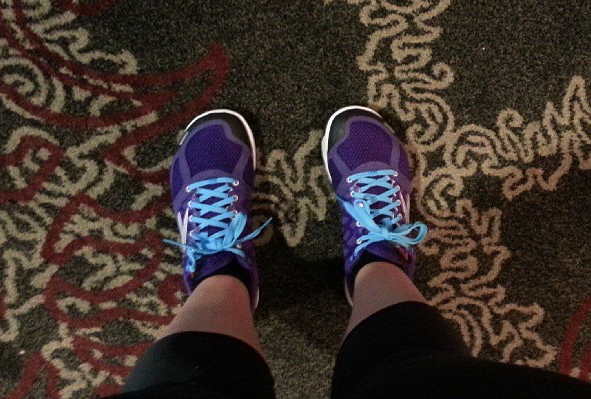 This past weekend I headed to downtown Portland to the Fitbloggin’13 conference. 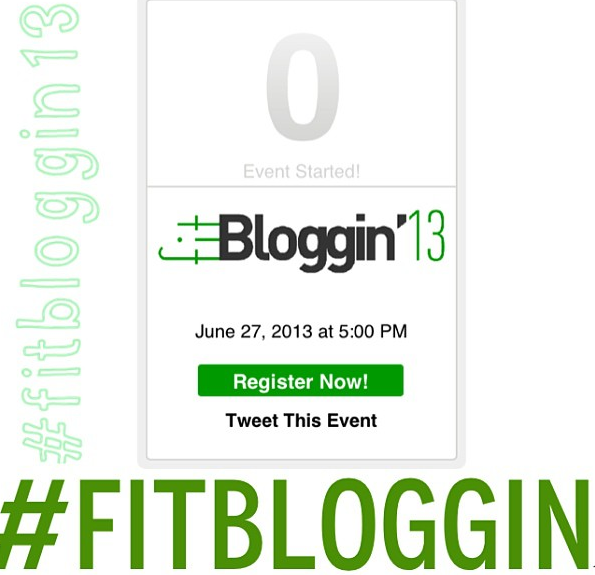 The FitBloggin’ Conference is for bloggers that specialize in fitness, wellness, good food and a healthy lifestyles. I have been interested in going to past Fitbloggin’s but unfortunately timing and cost just haven’t been in my favor until this year! Finally I actually live in the city that hosted a blogger event I wanted to attend! I kicked off the conference with dinner at Portobello with Annabel, Kelly, Dacia and Brooke. This was my second visit to Portobello in the same week (I had been the previous Saturday) so I already had an idea of what I wanted to order. 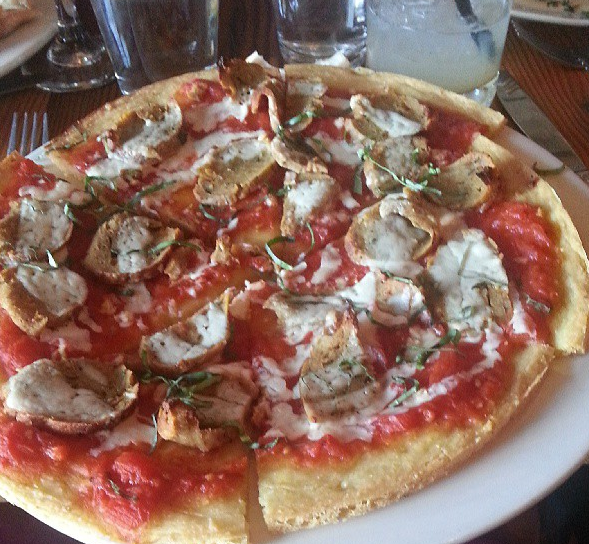 After debating between the gnocchi and the arribitta pizza I decided to go with the pizza with the gluten free crust. It was so delicious! 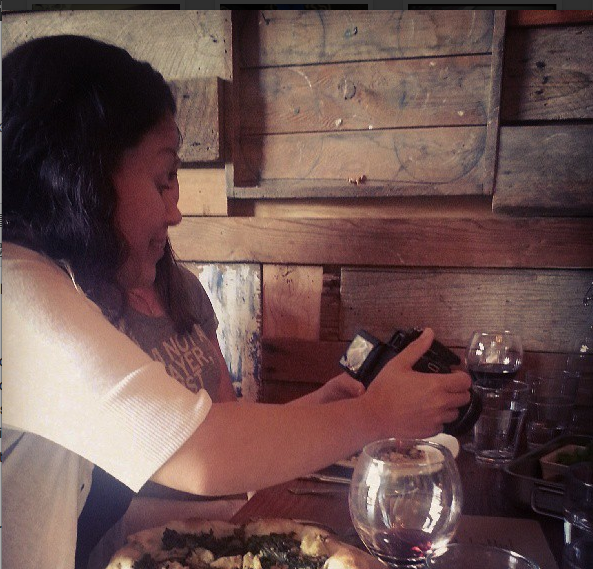 It was so nice to have dinner with a table of other women and bloggers. We all enjoyed our dinner, drinks, dessert, and wonderful conversation before heading to The Nines for registration and the mixer. We arrived at the mixer a little on the late side but that was okay because I had a nice time at dinner and couldn’t stay long at the mixer anyways. I registered and then made an attempt to meet some new people. I did end up meeting another local Oregon blogger, Dani, who is super nice and is also a mother runner. I also finally met Kristina of Spabettie who I have known through blogging for years; she was even my last vegan exchange partner! After some chatting, swag pick up and name badge decorating I decided to head out. Neil and Edith picked me up from the mixer and home we went to get ourselves ready for the conference weekend. More Fitbloggin recaps to come!